Birthday is a personal holiday that you always want to celebrate sometime particular. For this to succeed, you need to plan a holiday, find out all the details and book the selected location, or buy tickets. Active, colorful celebration will satisfy young people, full of energy. A great way to feel like children, to fool around, to relax from the rigours of adult life – a trip to the water Park a big company. On-site water parks are usually not only has slides and pools but also sauna, Jacuzzi, bars and Spa centers. In some parks of the capital, you can book the whole hall for a great party. Zorbing centre in Krylatskoye – trivial option to celebrate a personal holiday. 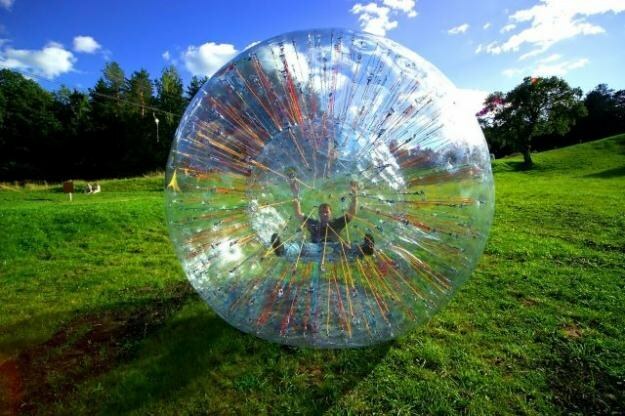 Zorbing is a Prime attraction, a man in a huge transparent ball you roll it with mounds or mountains. Of course, zorbing better suited for summer or early fall, but in any case, this fun ride will leave behind good memories. And to continue the celebration at one of the art cafes or clubs of Moscow. For example, you can rent a restaurant on the rails "Annushka", this tram with interesting content (23 seats, a bar, a great menu) runs to Moscow from Chistye Prudy to the University. Lovers of quiet entertainment can stop in at large entertainment venues, which are so much in the capital. Here you can play slot machines, maybe bowling, pool or even air hockey. It is almost always there with a similar network center there is a cozy restaurant where the birthday can get an impressive discount on the entire menu, most importantly, don't forget to bring your passport or any other document. Connoisseurs of art in his birthday can go to a concert of a Symphony orchestra, your favorite musician, dramatic play, and maybe to the Opera or the ballet. In this case, it is best to purchase tickets or to make a booking in advance to be able to choose the best location, which is undoubtedly important birthday.